If you’re seeing the error screen above that says “The Speedify Virtual Adapter is disabled [...]” on a Microsoft Windows machine, there are a few things you should check. 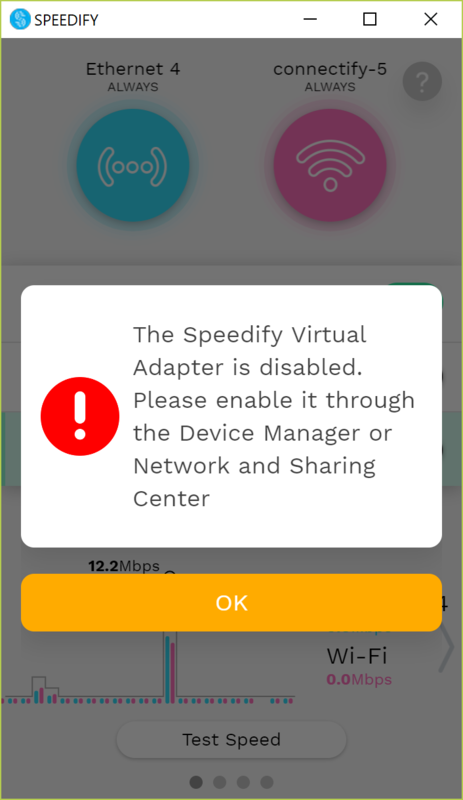 You should first check if your Speedify virtual adapter is actually disabled. Open the Windows Network and Sharing Center and then click "Change adapter settings" on the left. If all is good with the Speedify Virtual Adapter status, you’ll have to investigate further. 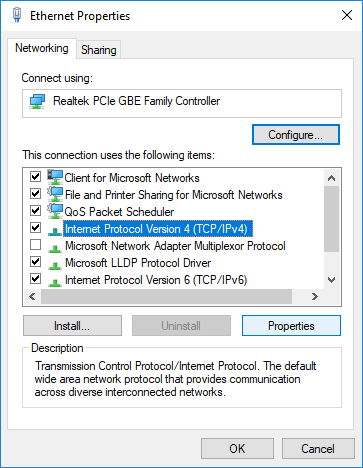 Sometimes after a Windows 10 update the IP address configuration for Speedify sometimes gets assigned to a different network adapter, for example the Bluetooth adapter. You need to remove the IP address from the other adapter so that Speedify can function again. 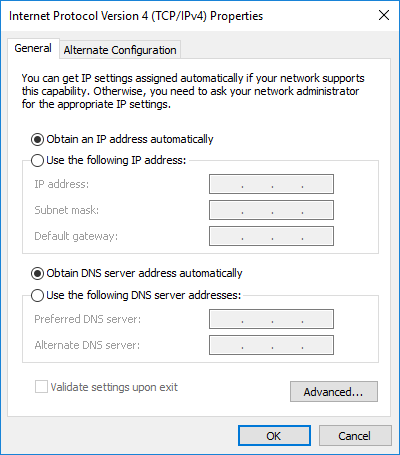 Open the Windows Network and Sharing Center and then click "Change adapter settings" on the left. Perform the following steps for each of the network adapters, except the Speedify Virtual Adapter. Right click on the adapter and select Properties. Then click on TCP/IP version 4 and click the Properties button. Look for the adapter that is set to 10.202.0.2 for the IP address. 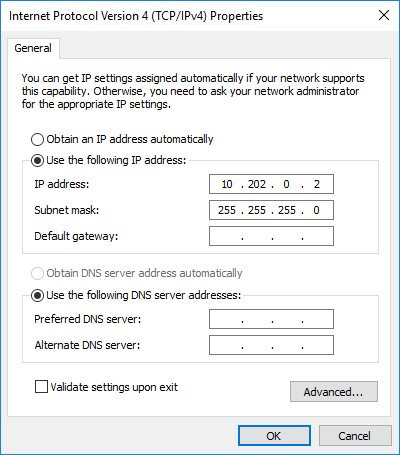 Clear out the IP address and change it to get the IP address automatically. After clearing the IP address, click OK and try connecting Speedify again. If it is still not working, you might need to temporarily disable the adapter that had the IP address while connecting Speedify. To do this, right click on the adapter and click Disable. Then try connecting Speedify. After Speedify is successfully connected, right click and choose Enable on the disabled adapter. If you are seeing the Speedify Virtual Adapter not working on Windows 7, this usually means that you do not have the necessary Windows Update installed. The Speedify Virtual Adapter requires a specific Windows Update (KB3033929) to be installed so that Windows can validate the signing certificate and load the driver. Speedify will ask you to install the update during the installation process, so you can first try running the Speedify installer again to install the update. Make sure that you have installed any pending Windows Updates and reboot the computer prior to running the installer, because this could block the update from getting installed. Note: This update is only required for Windows 7 computers. Windows 8 and above already includes this update.